Samsung has decided to create its own hands-on videos for the recently announced Galaxy S6 and Galaxy S6 edge. These include an ‘official unboxing’, in which the Korean company reveals the packaging of the handsets. The new boxes can be seen in the image above, and they’re certainly simple and understated. Samsung’s ‘official hands-on’ videos each focus on one aspect of the two new smartphones. Starting things up is the one centering on design. 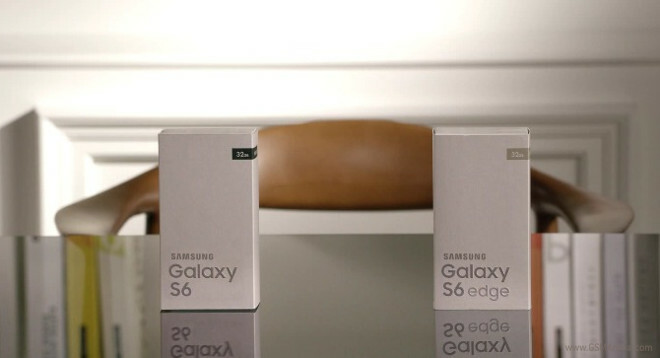 The Galaxy S6 edge (in gold) is unboxed, and the ‘edge notifications’ are described, as well as the other features which use its rounded edges. Then the ‘vanilla’ S6 is unboxed too, its design is praised, while taking a jab at Apple – “this stuff will not bend”. The next video is all about hardware innards and overall performance. We get a quick rundown of the most important specs, and the fast charging abilities get a shout out too, as do the wireless charging support and Samsung Pay. The final video in the series focuses on the camera and its capabilities, including HDR and OIS. It’s rather odd for a manufacturer to post its own ‘official’ hands-on videos of devices, but these serve to let people get a good look at the upcoming Galaxy S6 and S6 edge, while also quickly finding out about their most important features.